Copyright © MKLKMB. All rights reserved. This old hand painted advertisement gem was hiding behind a street billboard. It makes you want to see what’s behind all of them across the city. Creative operations overview and inside look. 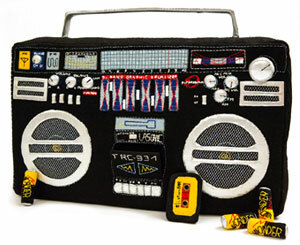 The Boombox by Julia for La Kombo laboratory. A reflective and empowering belief system embracing the beauty of diversity and similarity.